Stories are still circulating a week after the election that turnout fell sharply from 2012. That’s almost certainly not true. The confusion is the result of news outlets trying to pin down voter turnout figures quickly in a system that doesn’t count millions of votes until weeks after the election. 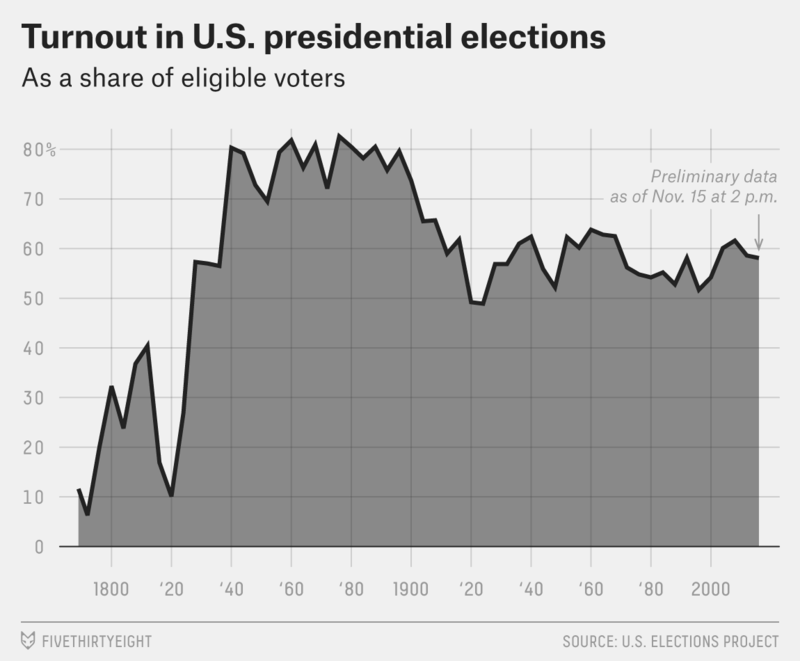 If your social media feed is anything like mine, though, you’re still seeing stories claiming only 53 percent or 55 percent of eligible Americans voted, which would represent the lowest turnout in at least 20 years. Those figures were based either on initial vote tallies (which inevitably rise as more ballots are counted) or on McDonald’s earlier estimates, which he is updating as more data becomes available. My own report Friday that turnout was 57 percent was based on estimates at the time, and it’s also out of date. While McDonald’s topline estimate of turnout has risen by just 1 percentage point since Friday, figures for individual states have changed far more: He now estimates turnout at 53.8 percent in California, which still has millions of ballots to count. That’s up from 45.5 percent on Friday. 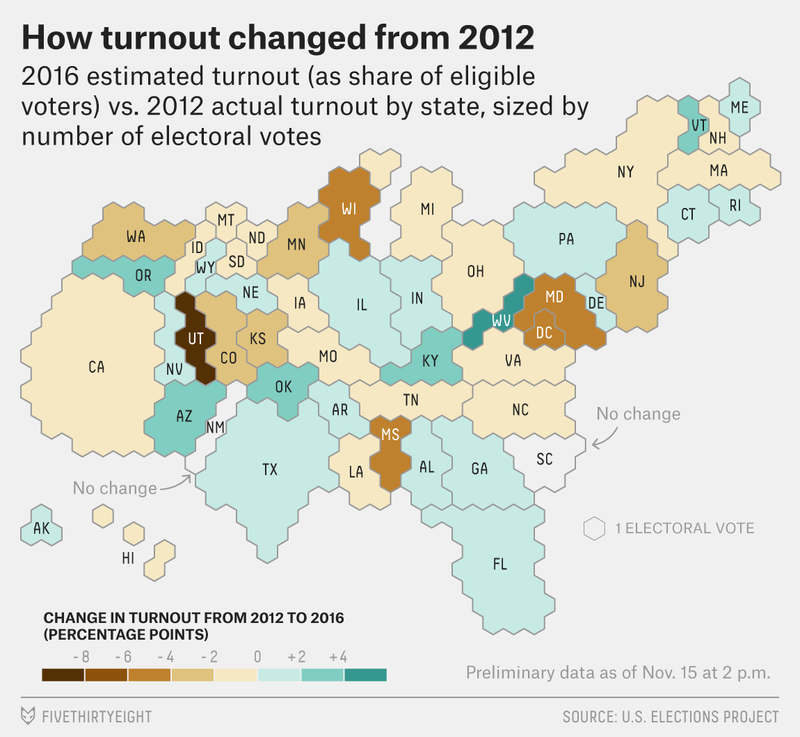 So here is a new version of the map we ran on turnout on Friday — itself, remember, subject to still more revision.